Some people get into the holiday spirit. Us, we prefer getting into the holiday spirits. No, we’re not talking Dickensian ghosts from varying points in time. We’re talking booze—ice-cold, put-some-color-in-your-cheeks booze. And as proof that not everything coming out of Texas is a Ted Cruz-worthy buzz kill, Tito’s Handmade Vodka gives us hope. 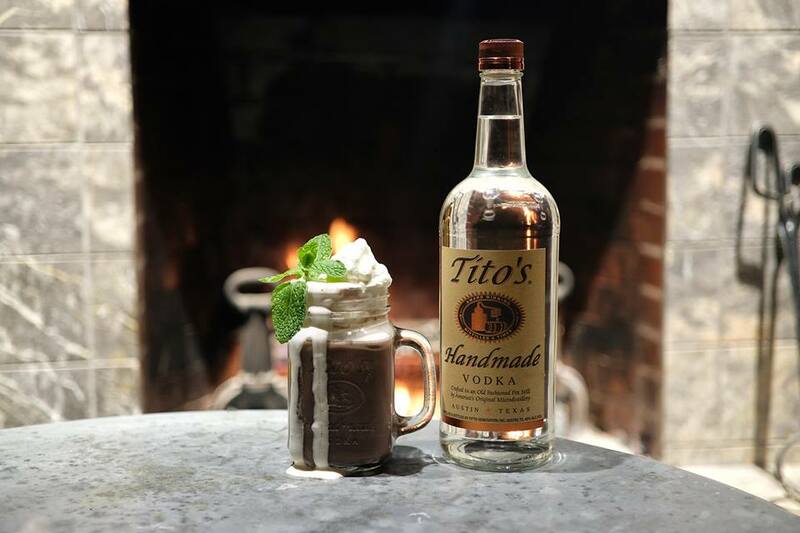 Not only does the Austin-based company actively support various LGBTQ causes around the country through event sponsorships and more, they also do wonderful things for dogs, veterans and the hungry through charitable donations that you choose at checkout when purchasing Tito’s branded merchandise. Speaking of which, this year you can get your hands on (and arms through) a new, limited edition holiday sweater and a matching one for Rover. 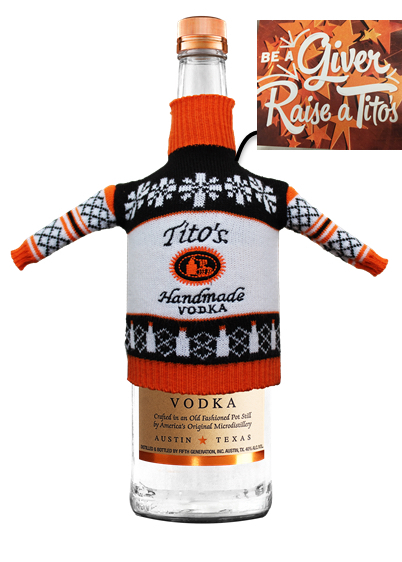 You can also find mini versions adorning Tito’s Handmade Vodka bottles themselves at retailers everywhere. You can also procure comfy scarves and caps for humans, plus toys, leashes, and bowls for dogs at their online store. Of course, they also sell a bunch of different items for the home bar from cocktail shakers and glassware to copper mugs and flasks. In short, Tito’s has a little bit of everything for everyone on your holiday shopping list. But just in case we personally are on that gift list, please don’t go to any trouble. We’re fine with a few bottles of vodka without all the fanfare. OK, maybe a little confetti and fireworks.